While universal means there’s less space for your regular rankings to show up, there’s also more opportunities for added visibility. With examples from Google, Yahoo and Ask for the query “how to mend a bicycle puncture”. 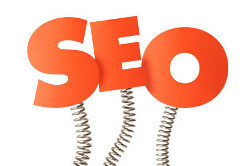 All use video results on the SERP, all from sites like Videojug. A key issue to deal with is the fact that very few authoritative sources of video keep showing up. Looking at an election SERP, looking at results for Brown, Cameron and Clegg in Google, Ask and Bing all of which show a variety of different universal results, including biographies, news, images, video etc. Social media sites are taking universal search from a ‘nice to have’ to a standard feature of SERPS in this day and age. Key tip: The most important factor in search is answering questions. Always try and answer questions in your content – look at Q&A sites like Yahoo Answers, etc. If you have thousands of videos it’s probably not worth it to upload them all to Youtube and other video sites; users will try to find the content on your site. But it’s definitely a good idea to be visible on Youtube as well. Multiple authors are required to get into Google News to weed out smaller / less authoritative sites. An automated / greyhat example of how to fake your way in is use services like Textbrokers, getting contractors to rewrite latest news stories to generate content for your site. Google News FAQs: (a) if you use news sitemaps can you get around needing a 3 digit code in the URL, (b) do i need to separate News content from Blog content to get it indexed? ANSWER: (a) no you still need them and (b) yes separate them otherwise you might only end up in Blog search which is not good. (b) Blogs can and frequently do get accepted in Google News (eg Fresh Egg blog) and I think you’re missing a trick by excluding all your blog content this way.